Australia have made a shock inclusion for the fourth Test against India in Sydney. 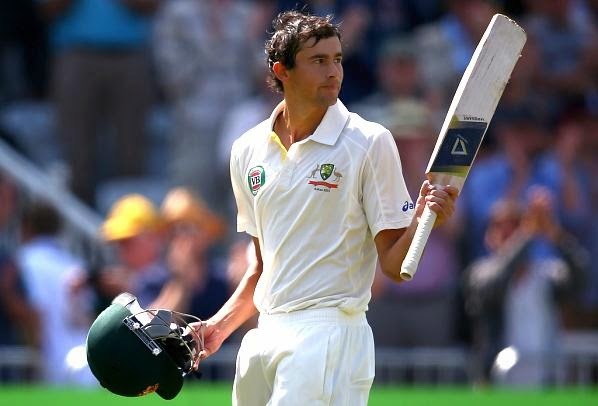 Left-arm spinner, Ashton Agar who last played a Test in the 2013 Ashes in England, averages 45.14 in the Sheffield Shield this season. He has played just two Tests so far and his claim to fame was the 98 he hit coming in at No. 11 in his debut Test. The 21-year old is as of now playing in the Big Bash for Perth Scorchers. The pitch at the Sydney Cricket Ground (SCG) has a reputation of being the most spinner-accommodating track in Australia. With Nathan Lyon performing his part more than enough, Australia may be toying with the thought of running in with two spinners for the New Year's Test. Australia have taken an unassailable 2-0 lead in the series and the fourth and last Test starts on January 6. Australias squad for 4th Test: David Warner, Chris Rogers, Shane Watson, Steve Smith (capt), Shaun Marsh, Joe Burns, Brad Haddin, Mitchell Johnson, Ryan Harris, Nathan Lyon, Josh Hazlewood, Mitchell Starc, Peter Siddle, Ashton Agar.